Guys, yesterday was St. Patrick’s Day. Did you wear green? I did. I had on a t-shirt that said “Lucky Charms.” I also had on a sweatshirt that had green on it. Speaking of said sweatshirt, when I took it off I don’t know what I did with it… plus I don’t remember taking it off. Oy! But, yesterday was St. Patrick’s Day. I’ve always wanted to be that mom who celebrates all holidays. I fail miserably! But yesterday, Abug and I made Lucky Charms Cupcakes, I made Irish Soda Bread (on my list), and then we had Rubenish/Deli Style Nachos. I’d say between the shirt and the food I nailed this one! 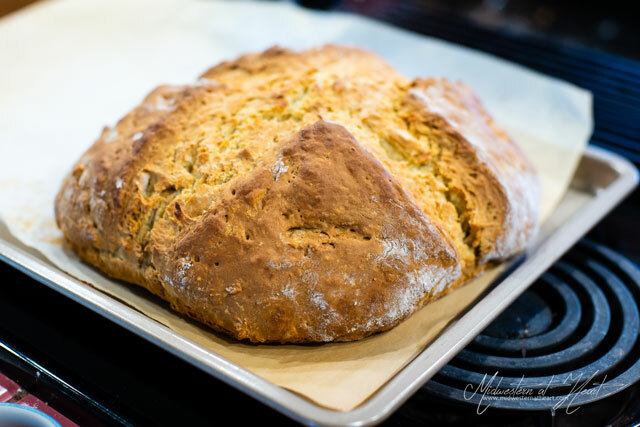 Now, if you read my list of things to do… one of them included making Irish Soda Bread. Hello! 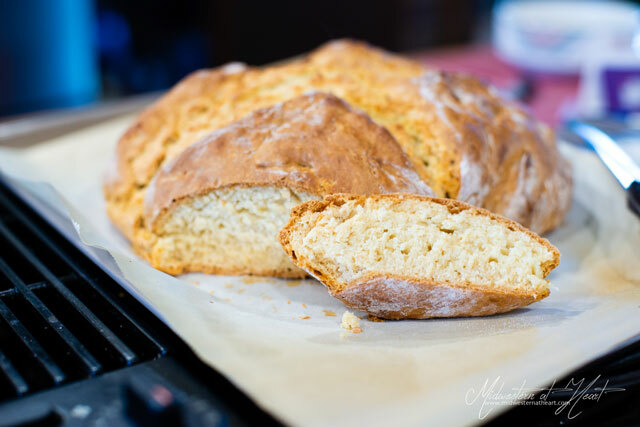 I made Irish Soda Bread! Woohoooo! I got out that little yellow highlighter last night and marked it off and dated it. Yes, my list is printed. Don’t worry, it’s not laminated. It’s not like Ross’s List of people he can sleep with. (If you’re not a Friends fan you won’t get the reference!) But if it isn’t printed, I can’t keep track. I mean, of course I could keep going back to that blogpost, but sometimes printed paper is easier. My friend Jamie is probably screaming at me for printing something. This is another Gemma at Bigger Bolder Baking recipe. She is Irish, I’d think she knows Irish bread, right? Although the weird thing was she did her YouTube video in Irish (the language) and had to use google for help. That’s weird to me. Who knows. Maybe she’s been out of Ireland so long? Now, when this was coming together, I messed one thing up. So I didn’t have store bought buttermilk so I made the substitution. You add 1 tbsp vinegar for every 1 cup of milk. Easy, right? Well, I measured the amount of milk, added my vinegar, and swear I had way to much milk. No big deal! Just add a little more flour to get your consistency you’re looking for. Problem diverted! She said you are supposed to serve it with butter and/or jam. Well, it just so happens that in January my friend Jody and I went to my grandma’s and made Strawberry Jam so bam! 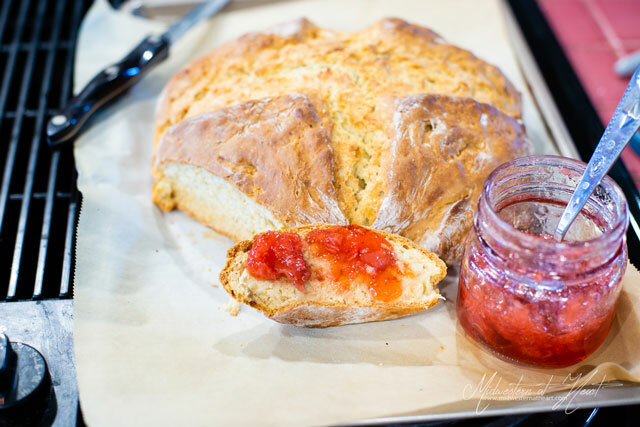 I had fresh, homemade Strawberry Jam to go on this lovely bread. It had the consistency of a beer bread but gosh I love a good beer bread so I’m not complaining. But the good thing is… I got to mark one thing off my list! Yey!! In a large bowl, mix the flour, salt, and baking soda. Add the butter in with your fingers, working until it resembles coarse bread crumbs. In a measuring cup, whisk the egg and the buttermilk together. Make a well in your dry ingredients and pour in the egg/milk mixture. 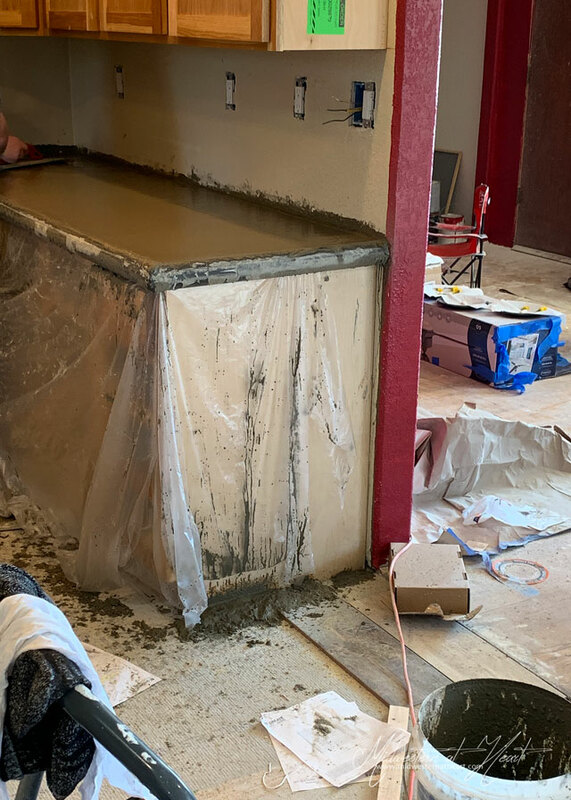 Using your hand, work the mixture until it comes together into a loose dough. The dough will be soft, but make sure it isn’t super sticky. If it is, add a little more flour a small amount at a time. Turn the dough out onto a floured counter or cutting board. Gently bring the dough together slightly kneading until it is a round 8×8 circle. Place on a baking sheet lined with parchment paper. Glaze the bread with the leftover bit of buttermilk in your measuring cup. Bake for 15 minutes at 425°F, then turn down the oven to 400°F and continue to bake for another 30 minutes. When done, the loaf will sound slightly hollow when tapped on the bottom. Remove from the baking sheet and place on a wire rack to cool. Serve with butter and/or jam. Can be stored at room temperature for 4 days, if it lasts that long!